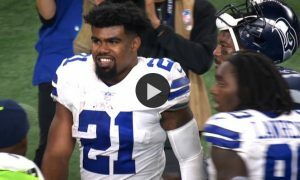 The Dallas Cowboys are enjoying their most successful season since 2007, when they finished 13-3 and lost to the New York Giants in the playoffs. What’s even more remarkable is they’re winning without veteran starting quarterback Tony Romo. Romo was injured in a Cowboys preseason game and was forced to miss the first few games of the season. In his absence, however, rookie quarterback Dak Prescott developed very quickly into a quality starter and led Dallas to a 13-3 record and first place finish in its division. Despite losing its veteran, long-time starting quarterback, Dallas has been the best team in football this season besides the 14-2 New England Patriots. After losing the season opener against the New York Giants, Dallas won 11 straight games before falling to the Giants again on Dec. 11 and suffering a meaningless season-ending loss to the Philadelphia Eagles while resting players for the playoffs. No one could have foreseen the success the Cowboys would have with Prescott under center. The rookie hasn’t put up numbers comparable to veterans such as Tom Brady, Matthew Stafford or Aaron Rodgers, but he’s been sharp and efficient with the ball. He’s had the benefit of playing behind the best offensive line in the NFL, who helped with the emergence of rookie Ezekiel Elliot as one of the NFL’s best running backs. Add in Prescott’s natural calmness, and you’ve got a special season from the Cowboys. This is only the fifth time in 15 seasons Dallas has had double-digit wins and the fourth time since 2007 it finished first in its division. Romo has had injury problems for several seasons now, and his latest ailment is a fractured vertebra he suffered in the Cowboys’ third preseason game. 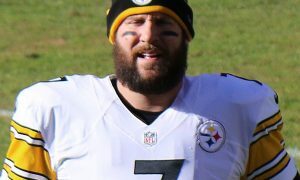 Before that, he suffered a clavicle fracture against the Philadelphia Eagles in 2015. He injured his back with a fracture in 2014 after suffering a herniated disc back in 2013. In 2011, he suffered a severely bruised hand and sprained his shoulder back in 2010. At this point in Romo’s career, it’s safe to say he is injury-prone. It’s been strange seeing Romo on the sideline as a backup, but the Cowboys determined it would be foolish to pull Prescott in the midst of him leading Dallas to such a strong season. This puts Romo in a bit of an interesting situation. He wants to play, but Prescott has a stranglehold on the starting job in Dallas. The Cowboys can’t just cut Romo because salary cap restrictions would actually make it cheaper to keep him on the roster, but he’s made it clear he doesn’t want to remain a backup. If the Cowboys do release him, Romo will be interested in very specific rosters — teams with a good defense, strong offensive line and powerful running game. A few teams that could fit this description include the Denver Broncos, Kansas City Chiefs and Chicago Bears. He’d be an intriguing free agency option for a team that has most of the pieces in place to make a Super Bowl run but needs an upgrade at quarterback. 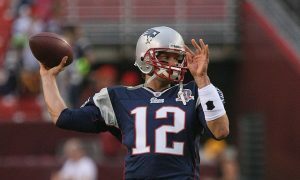 A Pro Bowl-caliber quarterback with over a decade of experience would be a welcome addition to many teams.